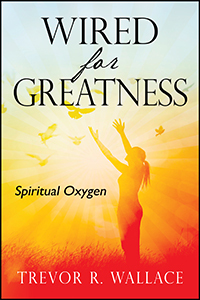 Unlock the “Greatness” in you when you read “Wired For Greatness”. Wired For Greatness is a very easy read with each page being a chapter. The main objective of this book is to expose the reader to the great potential that he or she has. The reader will also receive very practical ways of partnering with the Great One Jesus. The words of wisdom will surely encourage, educate and stimulate the readers and leave them desiring to read more and share what they have learned. 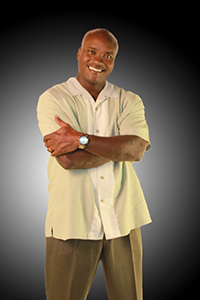 Trevor R. Wallace is the Senior Pastor of Jesus Team Ministries located in Fort Lauderdale, Florida. He teaches four times weekly. On Sundays and Thursdays in church, on Mondays at the Broward Outreach Center, and on Wednesdays a live one hour radio show. He also has various radio and television prerecorded programs 7 days a week. He has taught Wired For Greatness for over 10 years at the Broward Outreach Center in Pompano, Florida. His teaching at church, the Broward Outreach Center and radio and television programs has led thousands to Christ. Pastor Trevor is unique in his writings and preaching and the good thing about it is his motivation is to rescue the lost and encourage the found. With all this service to mankind Pastor Trevor refuses to take a salary from the ministry. Being an entrepreneur his motto is this “l take care of God’s business and He will take care of my business.” Pastor Trevor lives in Fort Lauderdale with his Beautiful Wife Loretta and Handsome Son Christian.